Phases 1, 1A and 2 are complete and open to the public, totally 4.3 miles of trail. Grades are gentle with some hills; surface is primarily crushed stone with some areas asphalt. Opening ceremony was held April 22, 2015. These completed sections are managed and maintained by York County Department of Parks and Recreation. 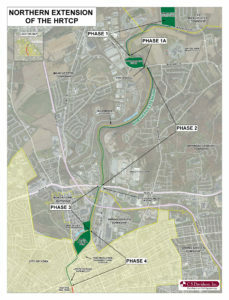 The final phases to complete the connection to the Heritage Rail Trail in the City of York, are currently in design and engineering. Construction is slated for early 2018. 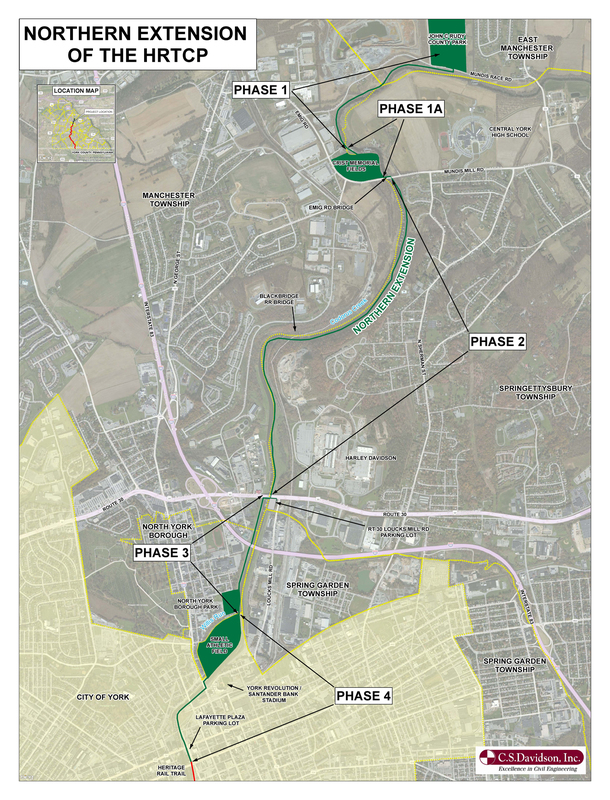 The developing agency is the York County Rail Trail Authority. The final phases include construction of (1) a ramp at the RT 30 and Loucks Mill Rd. parking lot to connect to the south walkway of the RT 30 Bridge and transport trail visitors across the Codorus Creek, (2) approximately 1.5 miles of trail on the west bank from RT 30 to N George St., and (3) a prefabricated bridge to cross Willis Run. These phases will be developed as one project. To meet an estimated cost of $1.75 million, funding has been secured from PA Department of Conservation and Natural Resources, PA Department of Transportation, Federal Lands Access Program, York County Community Foundation, Codorus Watershed Endowment Fund, York County Convention & Visitors Bureau, and a private donor. Funding is also being sought from several other sources in order to maintain an early 2018 start to construction. Local construction contractors are encouraged to contact engineers at C.S.Davidson, Inc. of York, PA for additional information on the construction schedule. Additional information is available by contacting the York County Rail Trail Authority: Telephone (717) 428-0999 or Contact Us.